Jetboating and Southern New Zealand are synonymous. The rivers and lakes allow visitors to take the ride of their lives in an adrenalin-pumping jetboat while enjoying the stunningly beautiful scenery. Experience the thrill and excitement of this inventive mode of transport, now used extensively all over the world and invented right here in New Zealand. In 1954, the late Sir William (Bill) Hamilton, created the modern waterjet propulsion system - the Hamilton jetboat. From the first waterjet unit 'Quinnat', that Bill tested in a Central Otago River, came a succession of new and improved models, specifically designed for an increasingly diverse range of boats and purposes. These include fast passenger ferries, oil rig crew/supply boats, rescue vessels, patrol and military craft, tourist excursion vessels and recreational craft. Waterjet units provide a number of technical advantages over other forms of marine propulsion such as excellent manoeuvrability, precise steering control, 360 degree thrusting ability for docking and holding stationary, low drag, shallow draft and no underwater appendages allowing access to shallow rivers and rapids. These advantages make waterjets the preferred propulsion choice and CWF Hamiton and Co. export their waterjet units to over 45 countries and are used in vessels up to 60 metres long. The waterjet unit also provides a number of advantages that are attractive for recreational and tourist boats. The jetboat utilizes an impeller that draws water up an inlet on the boat and expels it at an incredibly high pressure to provide propulsion. Waterjet units are extremely safe as there is no exposed propeller and can be maintained simply and quickly. It is also quiet, with no hull vibration or torque effect, making a ride in a jetboat very comfortable. The Shotover and Kawarau Jets both use Hamilton waterjet units. CWF Hamilton and Co. Ltd was formed in 1939 and was based at Irishman Creek Station where the first waterjet unit was developed. One of its subsidiary companies, Hamilton Marine, began designing and producing jetboats with more specialised hulls for river navigation but also produce boats for lake and sea use. Another subsidiary company, Hamilton Engineering, produced industrial equipment, cranes and hydraulics but was discontinued in the late 1970s so the company could concentrate on developing it's waterjet units and boats. Sir William Hamilton's contribution to sports development was recognised with his induction in 1990 into the New Zealand Sports Hall of Fame. In 2003 Hamilton's company, CWF Hamilton and Co. was recognised as New Zealand Engineering Exporter of the Year and 2004 marked the 50th anniversary of waterjet development for CWF Hamilton and Co.
- Wild Wairaurahiri River. Grade three rock strewn rapids 74 kilometres of Jet Boating adventure. - Jet boat across the mysterious Lake Hauroko. NZ’s deepest lake. - Unmodified Podocarp forest, Waitutu forest and Lodge. - Explore the Rugged South Coast. - Nature walks and delicious lunch included. - Purpose built Jet boat, twin lexusV8 engines, large and roomy boat for your comfort. - Original Wairaurahiri Jet is owned and operated by Johan and Joyce. 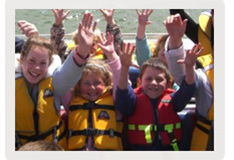 - Life jackets, woolly hats and some wet weather gear provided. - Bring a sense of adventure, sunglasses, warm water proof clothing and sturdy foot wear. - Environmental award winners - 2008. Proud supporters of our local community and of ongoing conservation initiatives, plus our own stoat trapping project. Johan Groters along with Joyce Kolk own and Operate Wairaurahiri Jet in the heart of Southern Fiordland. Our jet boat trip is one not to be missed. We cross Lake Hauroko then down the wild Wairaurahiri rivers grade three rapids to the rugged south Coast where we stop for real kiwi style venison BBQ. The journey travels 74 kilometres through unmodified beech and Podocarp forests. The amazing natural beauty of the place takes your breath away. As part of our trip we have since 2006 included stoat and rat trapping as part of our trip. We have now got 89 sponsored traps along the Eastern bank of the Wairaurahiri River and have recently expanded the trapping to include 49 traps along part of the South Coast Track from the Wairaurahiri River East to the Percy Burn Viaduct. It is a great way to combine conservation with a commercial operation and involve our guests in our bid to rid the forest of these evil predators. Wairaurahiri Jet takes you into the Southern end of Fiordland National park. We set off from Lake Hauroko crossing the lower part of New Zealand’s deepest lake then its down the wild, grade three rock strewn rapids of the Wairaurahiri river to the sea. Our trip passes through beautiful unmodified Podocarp forests. We have a short guided nature walk along the way. Once we are at the sea we set you off to explore the rugged South Coast while we cook your delicious kiwi style BBQ lunch. After lunch it’s back on board for the return journey up the river across the lake back to the departure point. We also involve our guests with our own conservation project protecting our native bird. Our All Day Adventure departs from Lake Hauroko at 10am and returns 4:00pm. 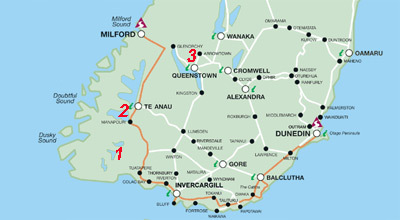 One way tramper pick up/ drop off connects with the South Coast Track and The Hump Ridge Track. Helicopter Jet boat combinations are an awesome way to view the amazing Percy Burn Viaduct, along with the breath taking aerial views. We can organise over night trips staying at the Waitutu Lodge on the coast. 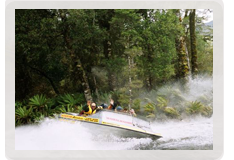 We offer a huge variety of jet boating and wilderness adventure packages in Fiordland and Southland. Experience New Zealand's most daring and exhilarating jet boat ride! Our trips include a jet boat ride across Lake Hauroko and jet boating down the Wairaurahiri River, New Zealand's most exciting Grade 3 whitewater rapids! Jet Boat across Lake Hauroko and Down the Wairaurahiri River - 27 Kms of Grade 3 Rock Strewn Whitewater Rapids to the Wild South Coast and Return. World famous as the ultimate jet boat experience, Shotover Jet has thrilled over 2.5 million people since 1970, and now it’s your turn! Take a unique breathtaking ride through dramatic and narrow Canyons, and hold on tight for Queenstown’s only exhilarating full 360° spins. ‘Can you handle the canyons?’ with award winning Shotover Jet, The World’s Most Exciting Jet Boat Ride, and the only company permitted to operate in the spectacular Shotover River Canyons. Shotover Jet was one of Queenstown’s first commercial adventure activities when it began in 1970 and has been one of the activities that has really helped to put New Zealand on the global tourism map. Shotover Jet have combined the classic New Zealand invention of the jet boat with the kiwi culture of adventure and has become part of the fabric of what is quintessentially ' New Zealand '. Shotover Jet is for many people the highlight of their Queenstown and New Zealand holiday. Queenstown’s Dart River Jet Safaris experiences are unique combinations of breathtaking ‘World Heritage Area’ scenery, exciting braided river Jet Boating, Maori heritage and inspiring adventure – truly authentic discoveries of everything that makes New Zealand an exceptional destination. They are diverse adventures from Queenstown to the frontier township of Glenorchy at the head of mighty Lake Wakatipu, and into the pristine Dart River Valley and spectacular Mount Aspiring National Park. Join us for an exciting adventure into this unique environment of spectacular wilderness scenery, high mountains, glaciers, alpine lakes and beautiful river valleys shrouded with ancient beech forest. Explore these endless and unforgettable landscapes rich in legend and history with the journey that suits you best from our range of 3 amazing Safari options and experience ‘New Zealand’s Most Sensational Journey’.